Del Mar is an affluent beach town in San Diego County, California. The population was 4,161 at the 2010 census, down from 4,389 at the 2000 census. The Del Mar Horse Races are hosted on the Del Mar racetrack every summer. Del Mar is Spanish for “of the sea” or “by the sea”, because it is located on the Pacific Ocean. Colonel Jacob Taylor purchased 338 acres from Enoch Talbert in 1885, with visions of building a seaside resort for the rich and famous. The United States Navy operated a Naval Auxiliary Air Facility for blimps at Del Mar during World War II. According to the United States Census Bureau, the city has a total area of 1.8 square miles. 1.7 square miles of it is land and 0.1 square miles of it (3.94%) is water. At the southern edge of Del Mar is the Los Peñasquitos Lagoon. 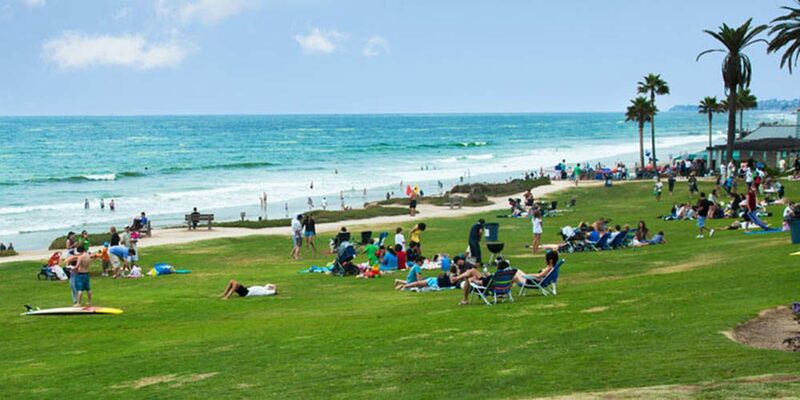 Del Mar’s climate is considered sub-tropical / Mediterranean with warm, dry summers and mild winters, and is considered one of the most desirable climates in the United States. Temperatures exceed 85 °F (29 °C) only on a few occasions throughout the year and rarely drop below 62 °F (17 °C). The average daily temperature in Del Mar is approximately 71 °F (22 °C). National and County-wide news sources are slow and do not accurately represent what is happening in the Del Mar area. My Statistics are updated every few days to keep you up to date. Choose an area from the list below to see the latest information!